DHgate is the shopping portal you need to find inexpensive wholesale prices. On their website, you’ll find a massive online catalog you can browse to find just about anything you can imagine. Backed by investors including KPCB, JAFCO, and Warburg Pincus, China-based DHgate has been connecting small and medium businesses in China with overseas buyers since 2004. DHgate allows you to purchase Chinese-manufactured products directly through their website. Our DHgate coupon codes can help you save more on already discounted products. 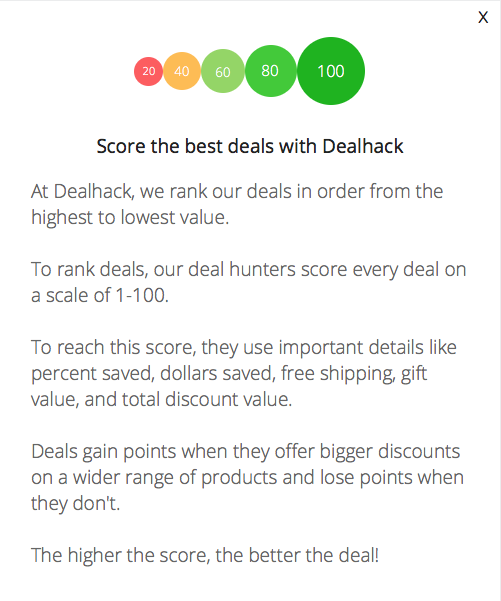 Dealhack wants to see you save so we work with DHgate to bring you their best coupons and lowest prices on your favorite items. Whether you’re looking for electronics, apparel, sports equipment, or more, you’ll find it at DHgate for a great price. Whether you’re looking for electronics, beauty, baby, maternity, toys, computers, pet products, jewelry or watches, DHgate sells just about everything you can think of. Look your best in trendy new apparel or decorate your home with discounted household supplies like lighting, textiles and appliances. You’ll even find wholesale refrigerators laundry appliances and air conditioners. In addition, you’ll find athletic equipment, accessories, and footwear. DHgate also helps you plan for your big day. DHgate has unbelievable prices on invitations, factory direct wedding dresses, tuxedos for the groom, bridal bouquets, dresses for the whole party, veils and more. Or, select from ball gowns, celebrity dresses or formal wear for any occasion. If you need product assistance, contact DHgate by live chat or connect with the online community for customer reviews and seller ratings. Returns vary by vendor, so be sure to carefully review return policies. Are you ready to shop for quality products direct from the wholesaler? You’ll save huge when you grab one of our DHgate coupon codes. All you have to do now is start shopping. Connect with DHgate on Facebook and Twitter to stay up to date with the store. If you need help with your order, you can get instant assistance online through their online chat which is available 24 hours a day, 7 days a week. This is the recommended way to contact DHgate. Looking for ideas? Check the best selling items and new arrivals. The daily deals section is a great place to find a unique gift and save as much as 90%. Get the DHgate app for iOS to shop and save on the go. The site features an online forum with a wide variety of articles and topics. You can join the VIP Club to receive exclusive discounts, services, and free samples. DHgate has a resolution center to help you resolve problems with sellers. This can come in very handy if you have any issues with your order. What is Today’s Best DHgate Promo Code? The best DHgate promo code right now is ITT3NRWGUW. This code is for '$100 off Purchases Over $1001'. Copy it and enter it on the DHgate checkout page to use it. DHgate has a slightly different shipping policy than most online retailers. Since each order will be coming from the manufacturer directly, some items will ship for free while others will have a fee. Your shipping costs will be noted in your shopping cart or you will see “Free Shipping” in green for items that will ship free. Shipping times vary but for U.S orders are generally 1-2 weeks. Your order can usually be returned if it is still in its original packaging. Not all wholesalers allow for returns. To learn more about the return and refund policy, click here.